We are always happy to feature young, talented people in our blog, and writing their stories always inpires us. 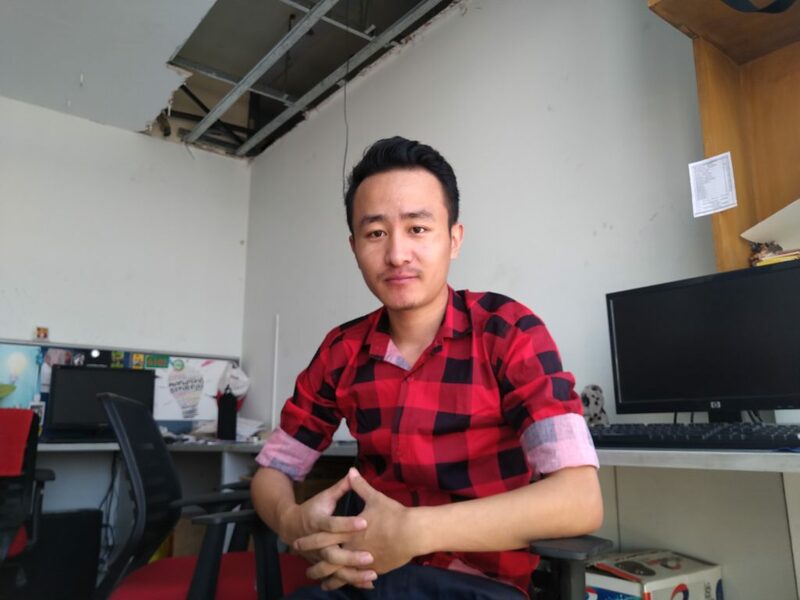 Today, we found someone very hard working and passionate about achieving his dreams, meet Kezhongol who wishes to inspire people through his artworks by creating stories which could literally bring imagination to life. His creative work also reminds us about the rich culture and beautiful tradition of the Naga society. 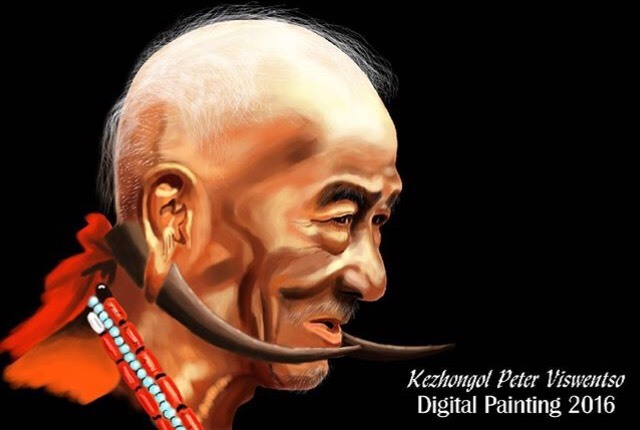 We had a chat with the very skillful traditional and digital artist Kezhongol Peter Viswentso from Nagaland. He talks about how art has been a part of him since his childhood days and he has no regrets over pursuing Animation as he grew up. Hello there, introduce a little bit about yourself. Hello R&L! My name is Kezhongol Viswentso (also goes with Peter), age 25 and currently staying in Bangalore, India. 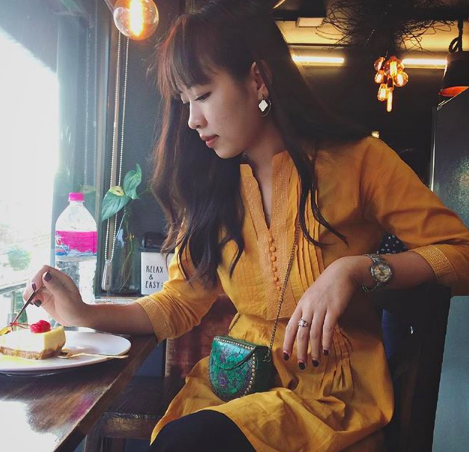 Originally, I am from Jakhama – Kohima, Nagaland – where I finished my schooling and college. I love Art and have a strong interest to go on adventures and travel places. I am also a local tourist-guide back in my hometown. 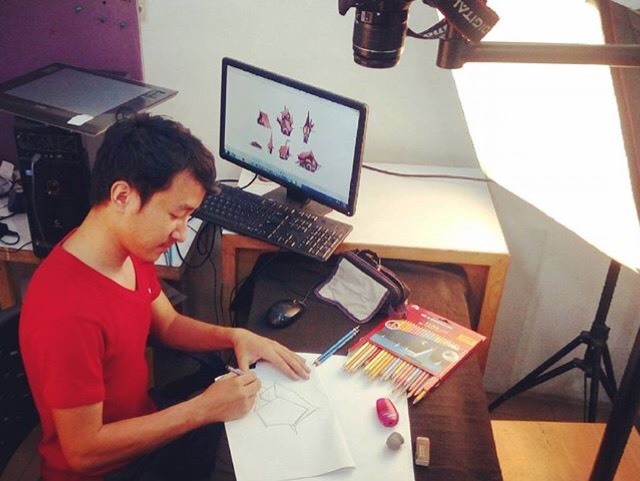 Currently, I am a 2D and 3D faculty teacher in Animaster College for Animation and Design – Bangalore, where I am teaching Drawings, Digital Painting, Digital Sculpting, Traditional Animation and 3D modeling. What initially sparked your interest in this field? How did it all start? As a child, art has always fascinated me. It was one thing that I love spending my time on during school days, whether it’s inside the class or outside. I started by sketching my textbook images and I remember my elder brother scolding me for spending my time drawing rather than studying. So for the love of art, I wanted to take up Fine arts but due to limited time, I couldn’t get a place to study and so I ended up taking Animation. But I have no regrets because it turns out to be an interesting and cool field. So, I further did my Master in Visual art in Animation- Bangalore and which I successfully completed. I would love to see more people getting into this field too, as there is so much you can learn from it. 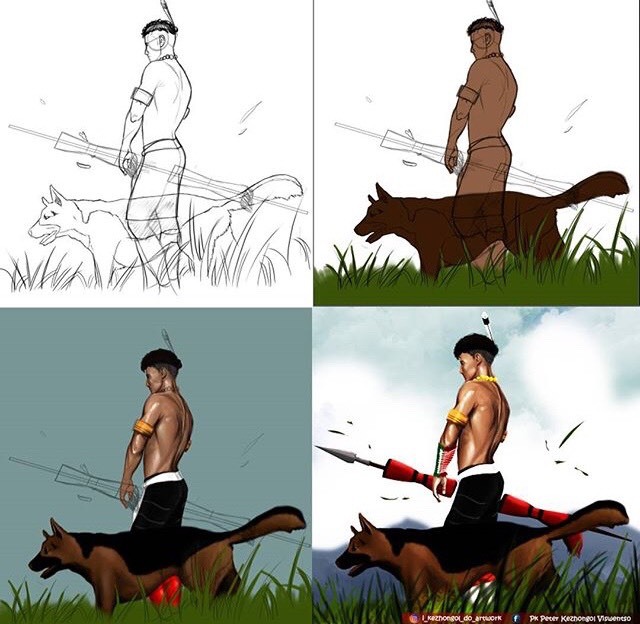 People assume that animation is making cartoon only. Yes, part of it is true but It deals with so much more – it involves making and creating games, advertisements, Medical explanation, Product designs, scientific visualization and so forth. Without Animation, I feel there will be no way to bring imagination to life. Animation is all about giving life to objects and I am really grateful that I was able to be a part of this field. 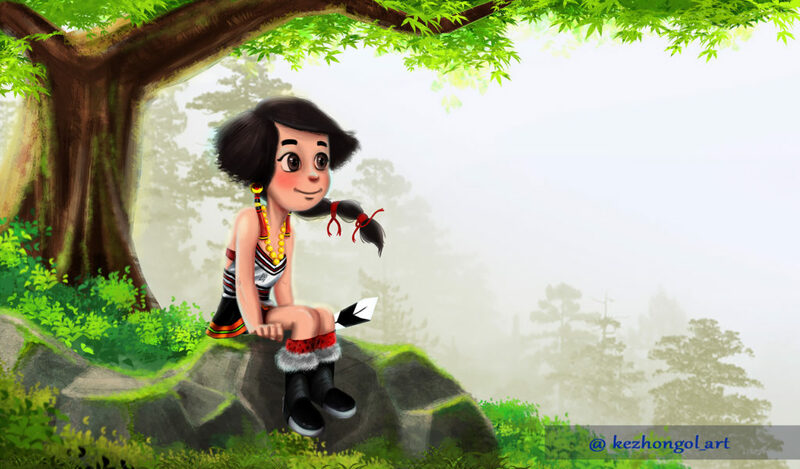 Kezhongol Viswentso’s digital paint artwork of a young Naga girl. 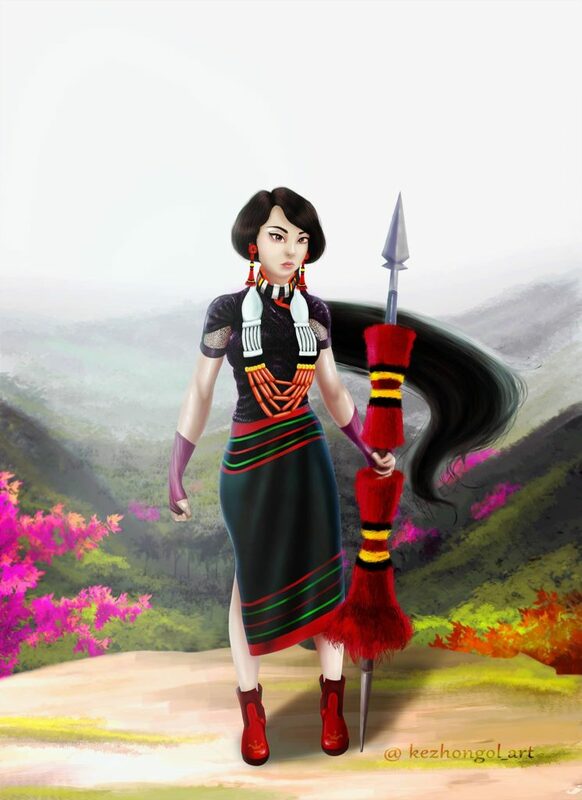 Kezhongol Viswentso’s digital paint artwork of a Lady in Naga Attire. What are your sources of inspiration? And what is the theme behind your art? My inspiration comes from people around the globe through photography, modeling, artworks and so on. Their unique works and style made me wonder and gives me the thrills and motivation. Few artists that inspires me are: Sakimichan, In hyuk lee and Elena Sai, (there are more but these three plays the main role). I tend to go for a semi-realism works mostly. I try to get better as much as I can. I don’t have any fixed theme or style that I follow, because I love trying out all styles as I can. In this digital era, we should always move forward with time and not stay behind. How has your roots influenced your work or working style? Roots play the most important key for me here to create something new. 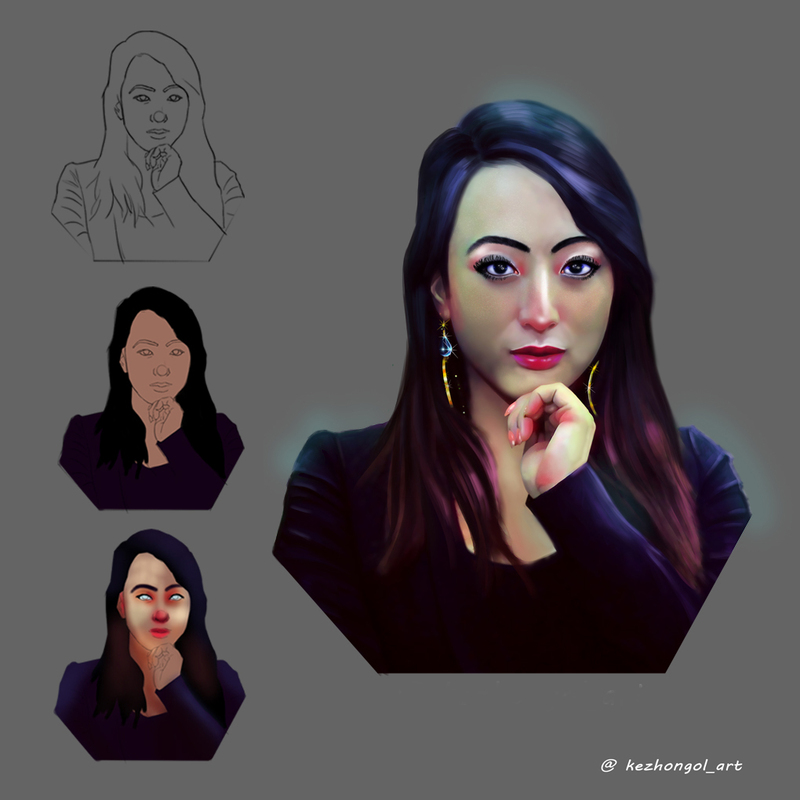 Most of the works which I do is basically of traditional and cultural, but sometimes I tend to mix up the work to create a new concept. My working styles sometimes changes depending on my mood and references that inspires me. 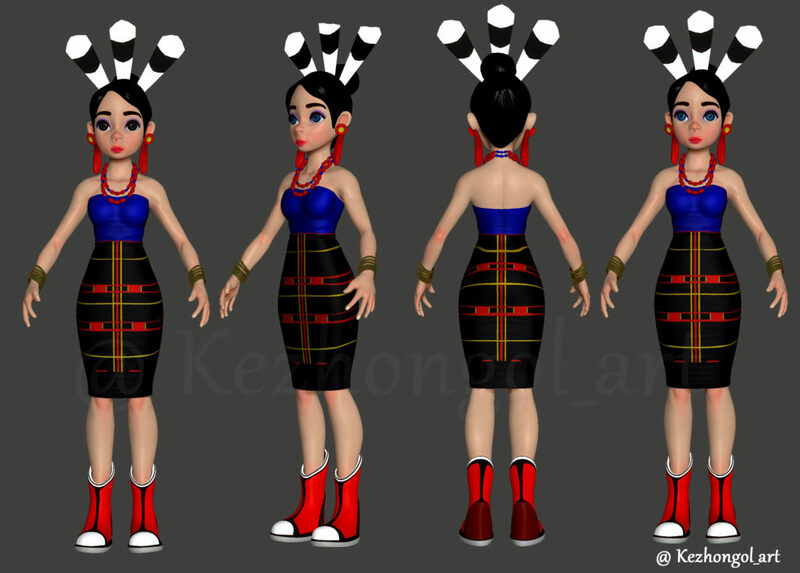 Kezhongol Viswentso working on a Digital painting artwork of Chakesang (naga tribe) lady. As an artist, I want it to be part of me and not disappear. Through my Art, I want to tell stories, bring imagination to life, create something new and original. I love bringing a fresh touch to things that already exist – to help more people visualize mundane things in new ways. Also, if possible, be an inspiration to somebody. Giving them a dream to dream is what I would like people to take away through my works. So how do you share your art, are they up for sale? I share my artworks through social media such as Facebook and Instagram. But, not recommending people to use for profitable purpose. Yes, some works are for sales and some are not. Some of my old works were sold during Hornbill festivals in Nagaland through products like shirts, stickers, cups, etc. Besides, I also work as a freelance. 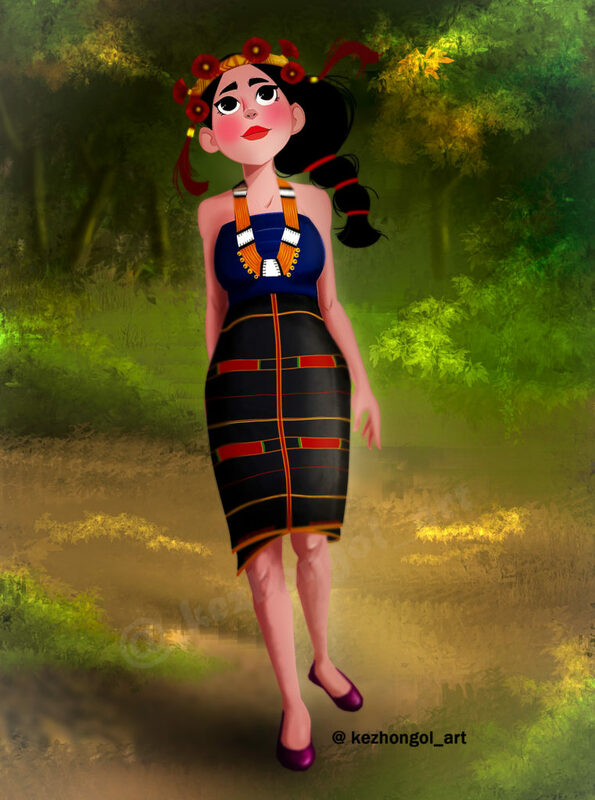 I want to create short animation in future relating to the folk tales of the tribal people, for which I need more people who are in this fields and who has a similar vision as mine. Also, my futuristic planning includes – illustrating book covers, music album covers, children books, etc. Kezhongol Viswentso’s workspace in Bangalore, India. 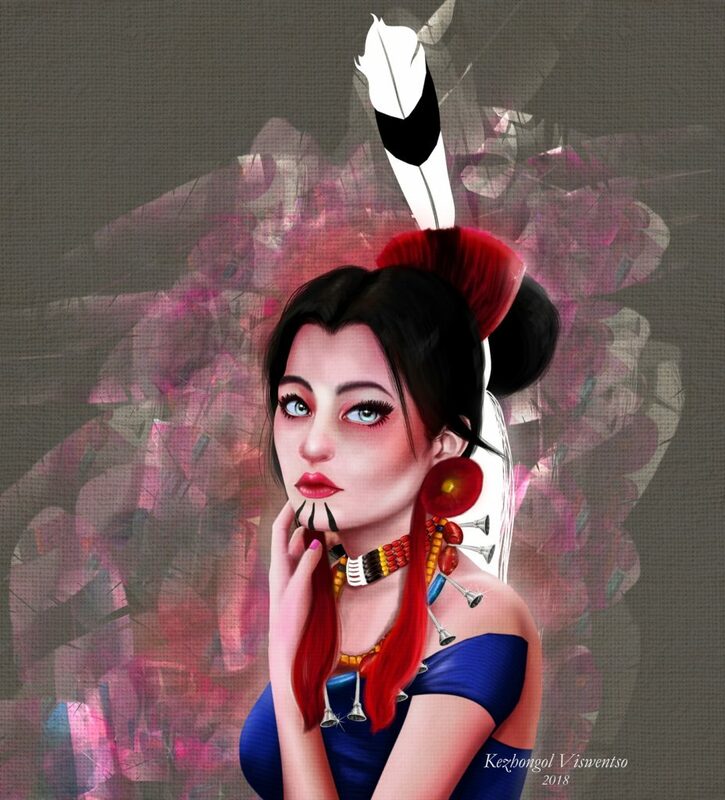 Follow Kezhongol Viswentso on Instagram to check more of his creative works.